This Spectacular luxurious 15th floor corner residence is the ultimate 3-bedroom apartment at the Lucida. You enter this oversized home through an elegant gallery to a magnificent corner +- 28’ x 20’ living and dining room with prewar proportions. To top it all off, the 9’7”’ ceilings give you a sensation of pure luxury and large volume, making this home ideal for entertaining and for gracious living. The dramatic floor-to-ceiling wall of windows face North and West and allow beautiful light to bathe the interior of the apartment. The views include lots of sky and an expansive vista of classic architectural buildings to the treetops of Central Park. A generously proportioned lunch/breakfast area works as an extension of the dining area and is ideally located by the ultra-contemporary kitchen. The newly renovated Italian Varenna Kitchen is a chef's dream. 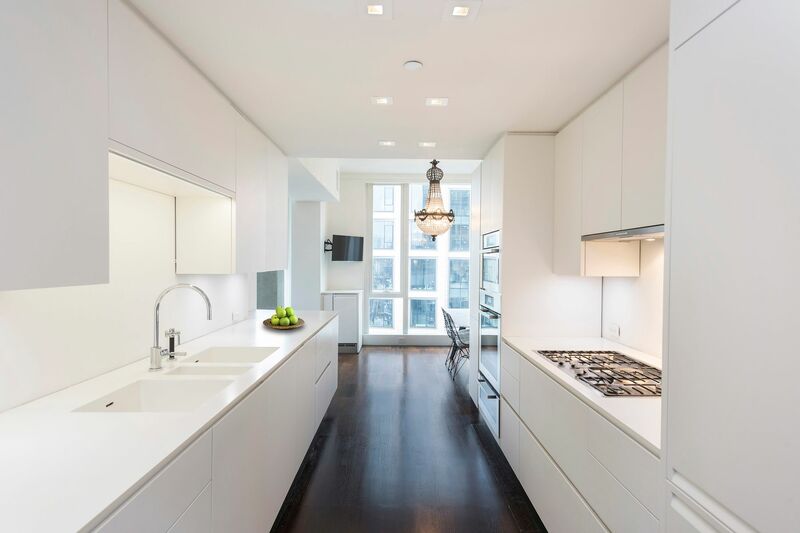 It features Corian countertops, SubZero fridge and Miele for all the other appliances. The master suite is oversized and has a generous walk in closet. The 2 other bedrooms are well-proportioned, one them has an en-suite bathroom. The three full bathrooms feature Calacatta Oro marble, dark wood vanities and polished nickel fixtures. There are several closets throughout, including a unique large utility room with a washer / dryer and an additional fridge. The apartment is fully integrated with the Savant smart home system that allows you to control from your phones, tablets or watches the following: electric shades, A/C, lighting, TV, Apple TV, Music, DVD and cable in all rooms from both inside or from outside of the apartment. There are speakers throughout.